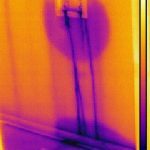 What is the purpose of a thermal imaging camera? A thermal imaging camera displays the infrared emitted from surfaces in a thermogram — in other words what you see in the display is the temperature of surfaces. 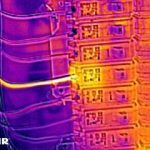 When a thermal imaging camera is used, we are looking for anomalies. 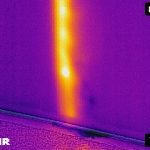 An anomaly that is revealed with a thermal imaging camera is a potential defect. 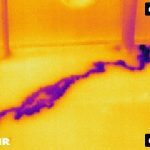 Below are some examples of what can be discovered using a thermal imaging camera. 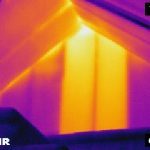 See what thermal imaging can do! 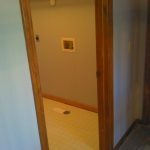 The first photo shows a perfectly normal looking wall in a finished basement. 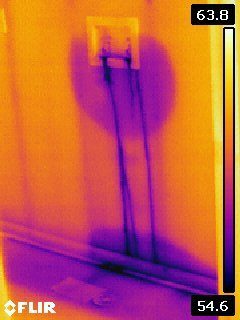 What we see in the IR photo reveals a warm vertical line and a cooler spot near the baseboard. 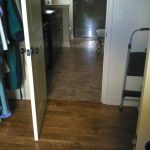 This area was below the kitchen and the dishwasher was in operation at this time. 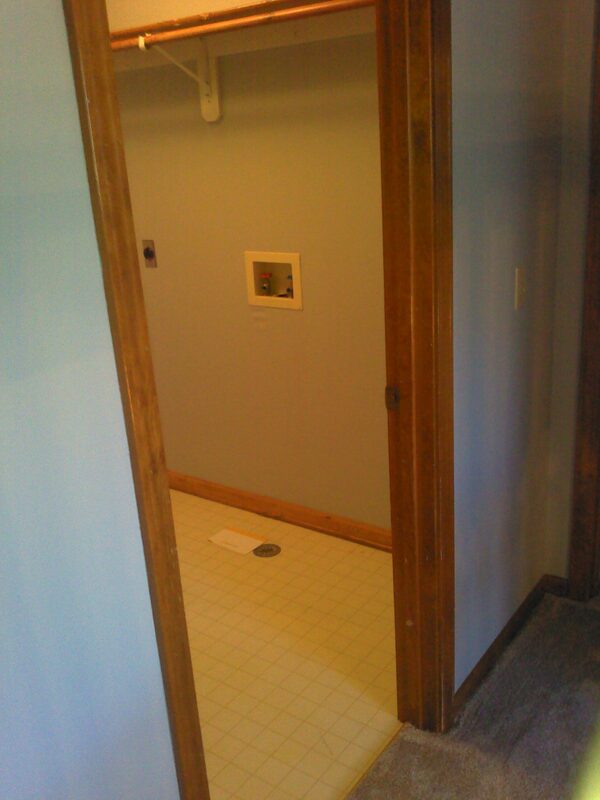 What we can suspect is the plumbing drain pipe is behind the wall. The warm water from the dishwasher warms the pipe and through conduction, warms the wall (surface). 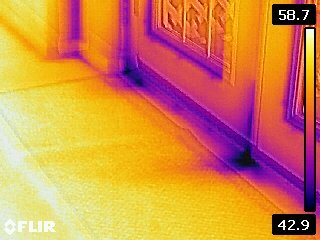 This is normal however the cooler (dark blue spot) at the baseboard is an anomaly. This is an indication of moisture. What we suspect is a leak at the plumbing drain pipe. 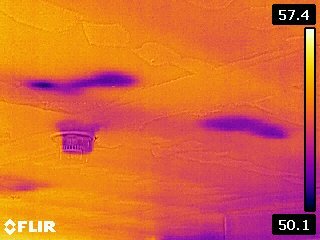 We then used a moisture meter at this location and confirmed elevated moisture content. Further investigation is required! The first photo shows a perfectly normal wall. 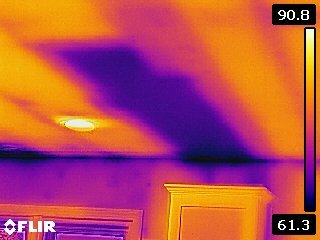 The IR photo reveals some warm spots. 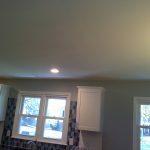 The exterior temperature at the time of the inspection was warm or hot. 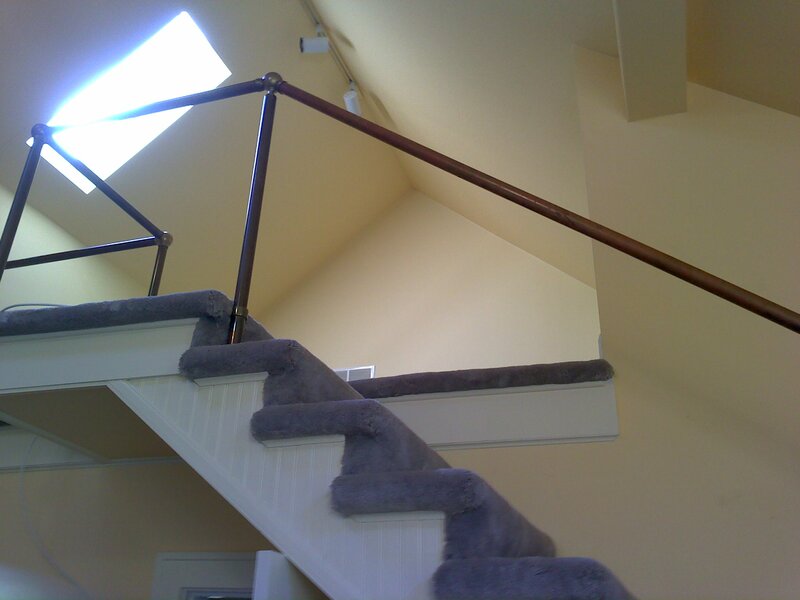 This wall separated the attic from the living space. The orange/yellow color is warmer. The large vertical areas of orange/yellow is an anomaly. 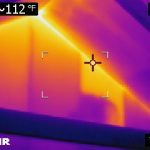 What we suspect is insulation between the wall studs was either not installed, improperly installed, or damaged (non-performing). 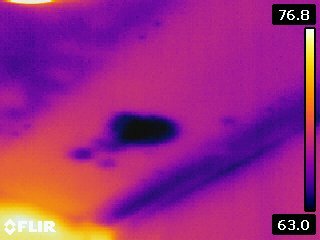 When inspecting the attic, we confirmed that insulation was not installed. 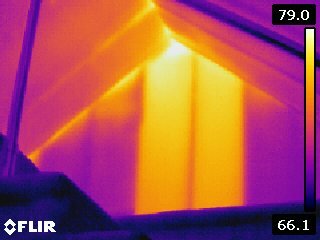 The lack of insulation between the wall studs allowed the attic to warm that area of the wall while the insulated portions of the wall were closer to interior temperatures. Repairs are needed. 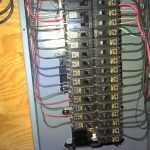 The first photo shows a panelboard that was a newer installation in a 70+ year old house. 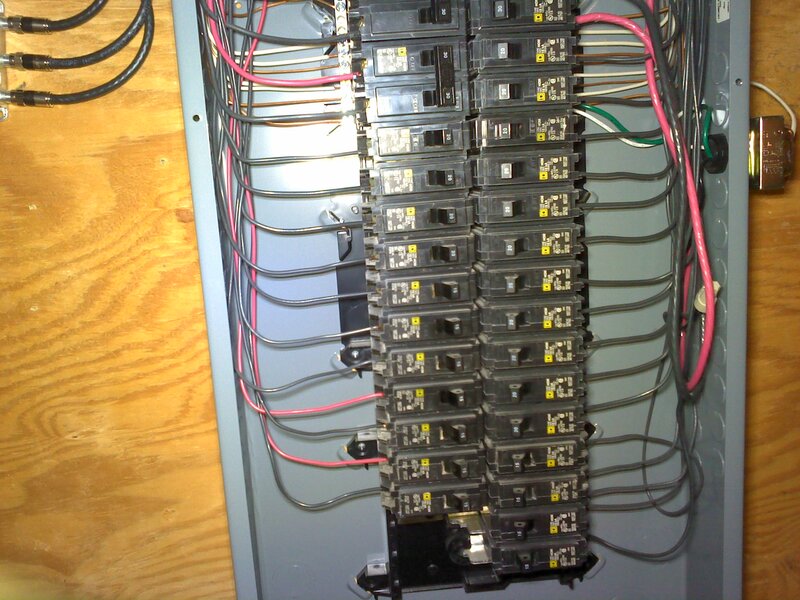 In general, the panelboard did not have observed installation defects. 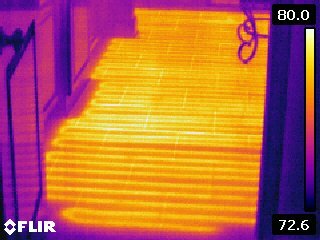 The IR photo revealed some warmer spots. 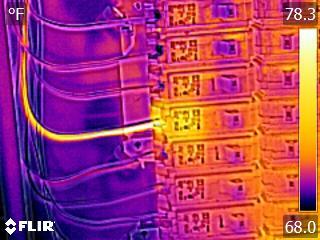 When a circuit is under load, it will develop heat which is normal however, we have an anomaly in this photo. The warmest spot in the photo is at the connection at the breaker. A hot spot at a connection is an indication of resistance or arcs. Further evaluation determined that the connection was loose, or inadequately torqued. 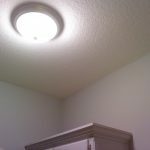 A loose connection will arc resulting in heat and is a potential fire hazard. 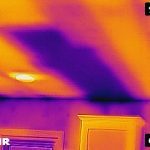 A thermal imaging camera can be used to confirm operation of baseboard heaters, heated bath exhaust fans, oven/cook-tops, or heated tile flooring. 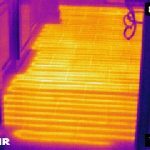 The installation of a heating element under a tile floor is concealed. 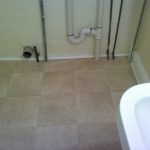 In this set of photos, we see that the heating element was warming the floor and that the installation of the element covered the entire area of the bathroom floor. 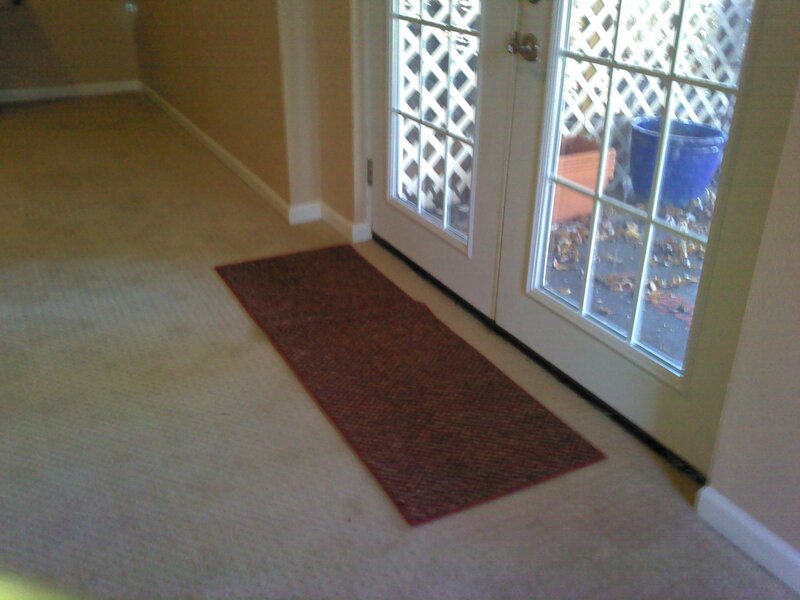 The first photo shows a set of french doors. The outdoor temperature was cold while the interior temperature was warm (winter time). Looking at the IR photo, the dark blue is the coldest area within the photo. 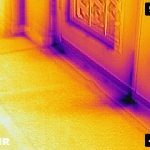 Here the anomaly is the cold areas around the door threshold. 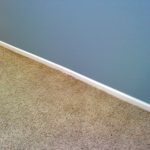 Non-performing weatherstripping or improper installation of the door can lead to air leaks and energy loss. 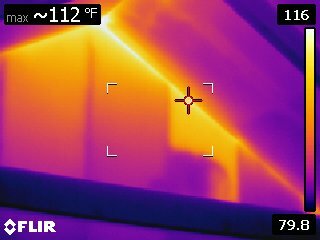 Cold air entering the home at this location cools the edges of the door and through convection, is cooling the floor towards the interior. 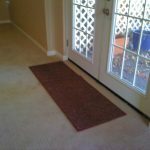 Improvements or repairs to the door assembly and/or weatherstripping is needed. 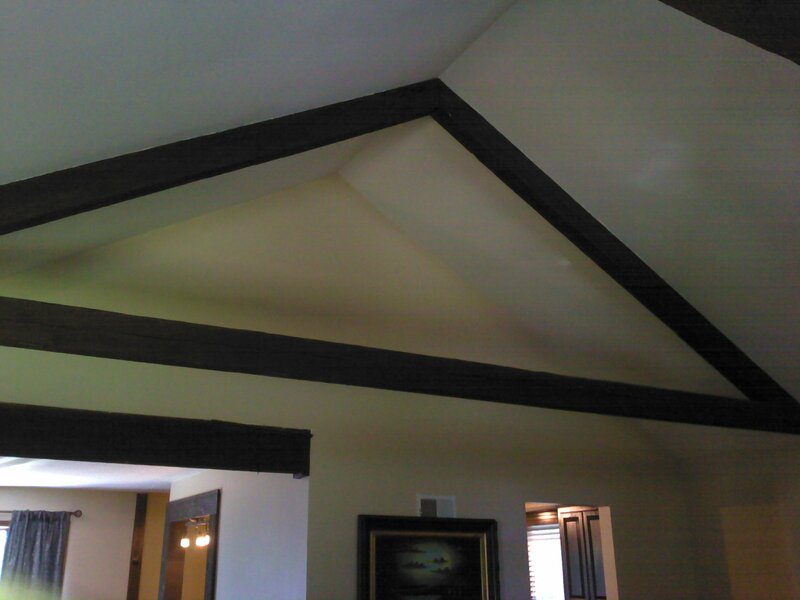 Here is a recently re-finished ceiling in a garage. 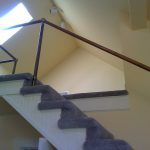 The home had undergone renovations. 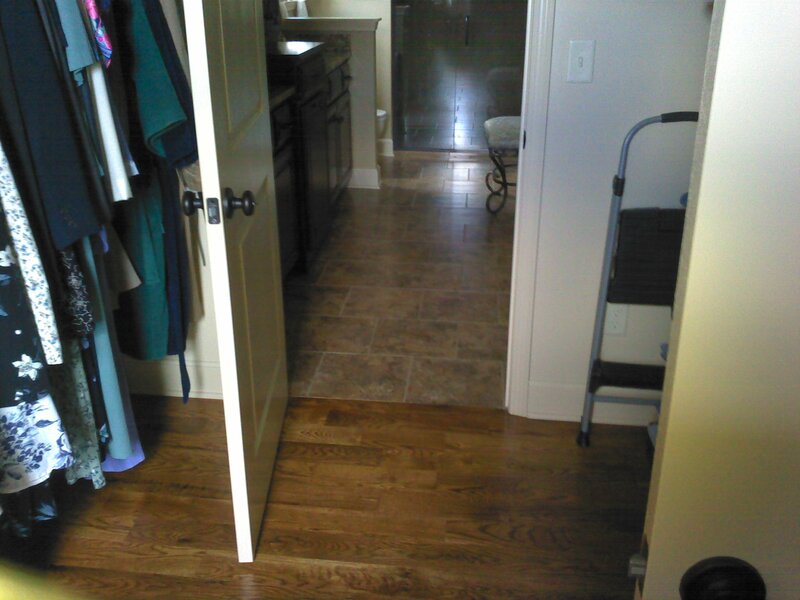 This area is directly below the master bathroom. The round dark blue spots are a thermal anomaly. This is an indication of moisture. 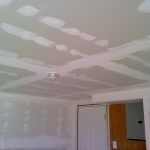 A moisture meter was then used at these areas and detected elevated moisture content. Further investigation and repair is needed. 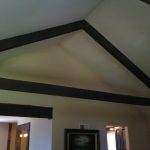 Here is a vaulted ceiling with a framed wall separating the living room from the attic. The exterior temperature at this time was hot and the interior was cool. 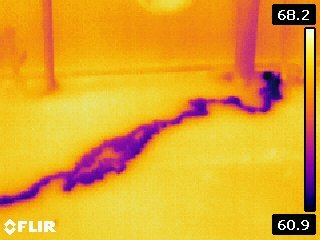 This thermal anomaly is an indication of insulation not installed, damaged (non-performing) or improperly installed. 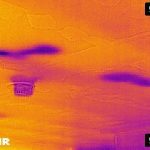 Inspection of the insulation in the attic revealed that the fiberglass batt insulation between the wall studs had fallen or was not close to the finished wall. Repair or improvement needed. Can you guess what is happening here? 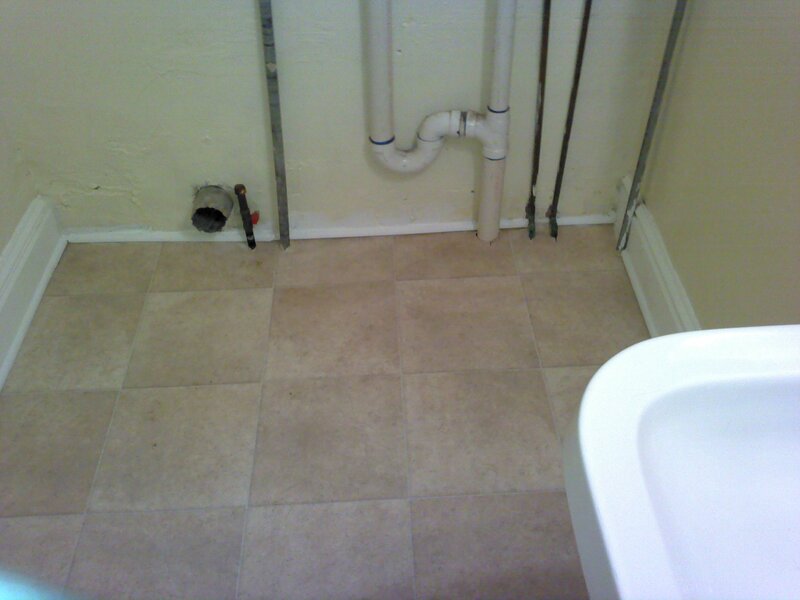 In this utility room, we see a blue river. The moisture, when it evaporates is cooler. The clothes washing machine valves were leaking and needed repair. Here is another instance of leaky washing machine valve. 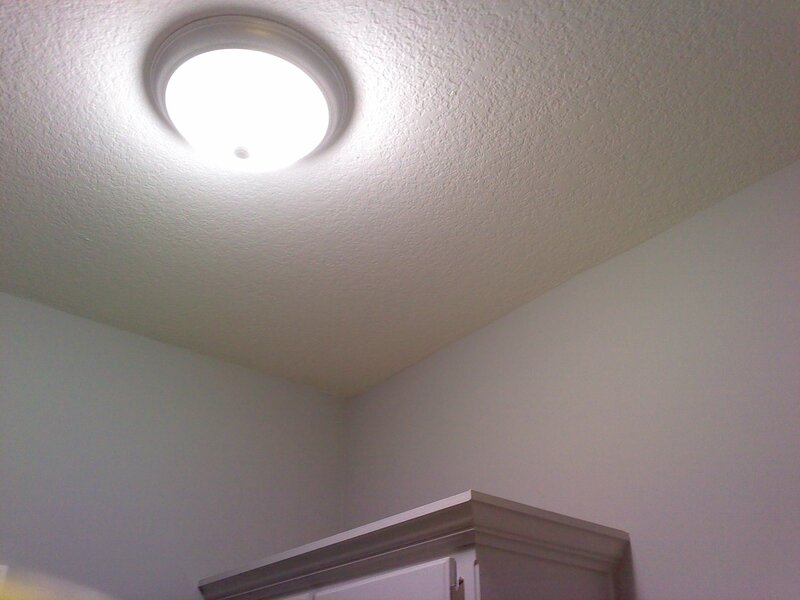 Here is a finished ceiling in the laundry room that is located directly below the upper level hall bathroom. 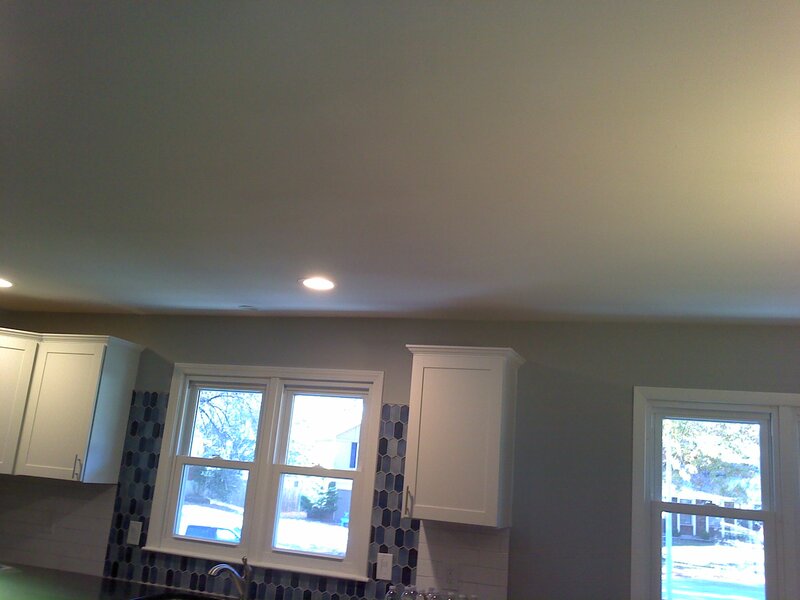 This home was recently remodeled. 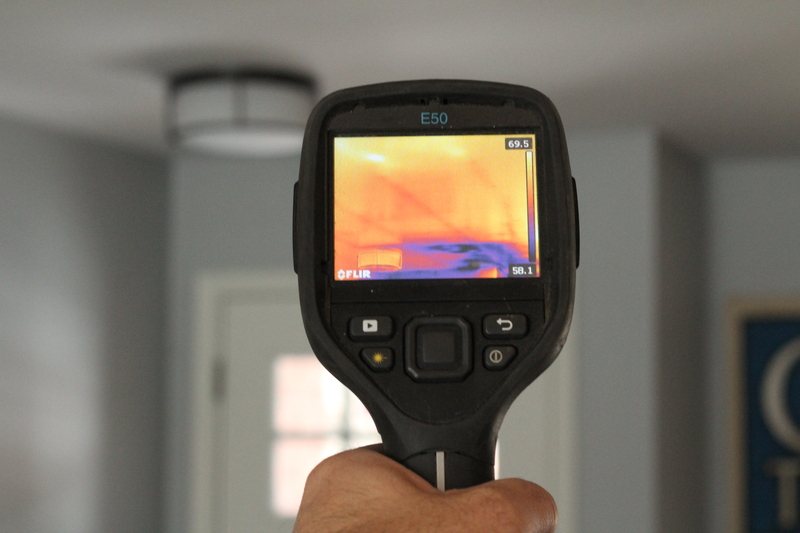 The dark blue spot is a thermal anomaly and is an indication of moisture. 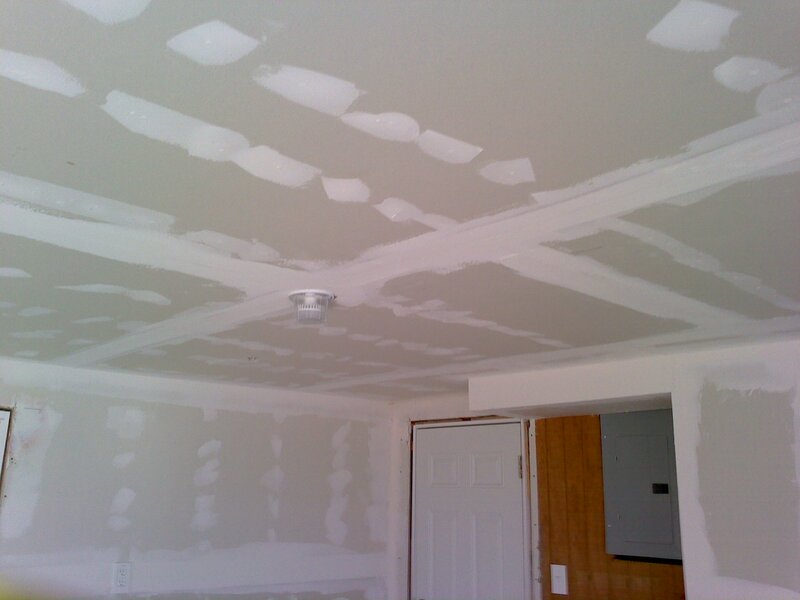 A moisture meter was used at this location and confirmed elevated moisture content. This spot was directly below the toilet (the toilet was loose at the floor). Further investigation is required. 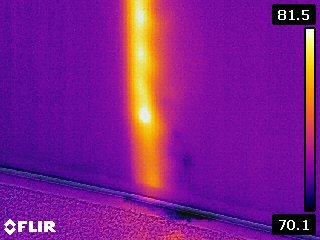 Here is another anomaly indicating non-performing insulation, insulation not installed, or insulation improperly installed. When the outdoor and attic temperatures are warmer than indoor, the anomaly will be warmer (yellow/orange). When the outside and attic temperatures are colder, the anomaly will be cooler (blue/purple).